Having graduated with my Bachelor's Degree in Nutrition from Rutgers University and my Master's Degree in Sport Management at Barry University, I am now pursuing a Doctoral Degree in Higher Education Administration at Barry University. As a high motivated educational advocate, my purpose is to serve students by preparing them with the necessary tools to reach their goals. I have tutored biology, chemistry, anthropology, and various topics in Nutrition at Rutgers for over two years prior to coming to Miami. Now, for three years, I predominantly tutor students attending the University of Miami, at the collegiate level, and Miami Country Day School, at the secondary level. I am very experienced in teaching math, in particular Calculus, Algebra I & II, Geometry, and Statistics. Students that I've tutored have never been hesitant or shy about asking me questions. There is no such thing as a "stupid" question. I am very patient and love helping students succeed, no matter how long it takes. Everyone works at a different pace, and it is very important to me that a student truly understands the concepts I am teaching. I gear lessons toward a student personally, giving test-taking strategies and designing lessons meant to be easily digestible. The key is finding the right approach through a step-by-step method, which I call a more "illustrated" method of teaching. I specialize in helping students prepare for standardized exams. I am qualified and experienced in helping students prepare for the GRE, GMAT, SAT, ACT, and GED. All of my students have felt prepared going in to take their standardized tests. I am able to help students at a comfortable speed in order to master concepts that will show up on the exam. For example, I break down each component of the math section and help students visualize and use strategies to implement during the exam to improve their score. The amount of progress a student makes, especially in regard to understanding concepts and applying the skills can be seen throughout our sessions. I take the time to learn about a student, figure out the individual strengths and weaknesses of that student, and tailor my lesson planning according to the student's needs. This ensures the student will absorb the material and retain the material. A standardized test can be tricky. There are many strategies to figure out how to interpret each problem and to figure out what is being asked. Once the approach and technique are mastered, I work with the student on time management. Being able to manage time efficiently is not only critical on a timed test, but also a lifelong skill that will lead to success. I am very passionate about helping my students succeed! Writing a great college admissions essay is a crucial part of gaining admission into the university of your choice. There are many components that need to be taken into consideration when writing essays, especially in regard to organization. Writing is a strong suit of mine, and I take great pride in my ability to help others with their writing. I have found first year college students to have the most trouble transitioning to scholarly writing, as it is something completely new to them. I enjoy assisting students in this process because it is a pivotal point in their academic career. Students need to write papers for many classes throughout college, so developing writing skills at the start eliminates potential writing barriers down the road. I encourage students to take initiative, explore opportunities, and "own" their goals! I have taken numerous courses in Public Speaking, and gotten an "A" in each of these courses. I have worked as a spokesperson for Transaero International Inc. I've coached others how to become comfortable getting in front of crowds and I've taught them essential public speaking techniques. I have homeschooled children in secondary education. I work in a consecutive manner, meaning I meet with students 3-5 times per week for 2-4 hours meeting periods. The manner in which I perform homeschooling is to prepare the student to take the GED (General Education Development) exam. This exam essentially takes the place of a high school diploma in order to either get a desired job or enter the university. Additionally, I help students prepare for the SAT as part of the homeschooling if a student wishes to gain entrance into college. Homeschooling requires sticking to a schedule, similar to public or private schooling. I am very thorough and tutor all subject areas to meet the needs of each individual student on a case by case basis. I have helped many students with their study skills. Each student has individual strengths and weaknesses. It is my job to figure out those strengths and weaknesses. Once assessing a student, I tailor study skills to each student's age and needs. I do a comprehensive overview of study strategies, homework habits, memorization mechanisms, and time management. Being able to manage time efficiently is not only a great study skill, but also a life long skill that will lead to success. I have taken many courses in anthropology, specifically in cultural anthropology. I've done fieldwork with my professors and assisted in their research in the cultural variations among humans in urban settings. I have keen insight into the origins of industrial society, as well as globalism, ethnic values, and gender studies. Having experience working in a college admissions office, I feel I can adequately help students prepare for college by building credentials that stand out and helping with personal statements / required essays. I've also helped many colleagues in counseling in regards to taking certain classes and picking a major. I have my makeup artistry certification from CAMMUA in Hollywood, CA as of March 2013. I've done makeup and hair styling for the past three years freelance. I can teach the art of makeup for a large range of purposes, from everyday to special events. I have my Bachelor of Science degree in Nutrition from Rutgers University. I have tutored courses in Nutrition while at Rutgers: Life Span Nutrition, Community Nutrition, Advanced Nutrition, Experimental Foods, Introduction to Nutrition, and Medical Nutrition Therapy. I have received an A in the organic chemistry sequence at Rutgers University. I've tutored my peers in the subject. I'm able to draw structures to help students visualize conformations. I'm versed in IUPAC nomenclature. I feel very comfortable with the subject. I've taken numerous courses in zoology. I am very knowledgeable in particular with oceanic zoology, which I've tutored as a part of the Biology series at Rutgers University. I've also done field work with the University of California in Santa Barbara pertaining to tide pooling. Having been a varsity basketball player and attending numerous clinics, I can teach the essential skills of boxing out, shooting, game strategy, etc. I have also served as an assistant coach analyzing court plays when I was injured for a season. I have helped players correct their free throw shots and improve on defense. 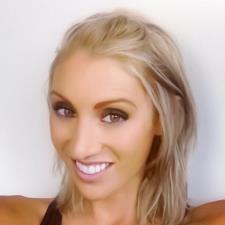 Having my Bachelor of Science in Nutrition, I am qualified to help other engage in fitness. I can make meal plans with paralleling workouts in order to aid a client. I was a varsity athlete for six years. After graduating from high school, I had volunteered and coached middle distance track along with pole vaulting and high jumping. I've been to numerous camps and clinics for both pole vaulting and high jumping. I feel confident teaching the techniques involved in the sport. I've tutored numerous students to prepare to take the GED. I am comfortable with the material presented. My strong suit is math, I am able to help students at a comfortable speed master concepts that will show up on the GED. I break down each component of the math section and help students visualize and use strategies to implement during the exam to improve their score. The MCAT consists of Biological and Biochemical Foundations of Living Systems, Chemical and Physical Foundations of Biological Systems, Psychological, Social, and Biological Foundations of Behavior, and Critical Analysis and Reasoning Skills. I have tutored both students and colleagues in all of these areas. I also tutor many students in test preparation for standardized exams. I can help students with many tips and strategies. The MCAT is not something that can be conquered by memorization. Knowing the material is the first step, then utilizing the skills and strategies towards approaching questions is what creates success. Tiffany is an amazing tutor and a wise one as well. Very dedicated, patient and super smart. My scores have improved so much in just a couple of classes. I am very grateful for her and I am glad we have build a great student to tutor relationship and friendship. 100% recommended! Tiffany is highly knowledgeable in higher level math concepts from Algebra and beyond. She helped with rational exponents, higher square roots, polynomials, distributive property, exponents, factoring, etc. Great for enrichment and relaying basic concepts. I highly recommend her. Tiffany W. has been helping me study for my math ged and not only has she helped me grasp the concepts, but she’s also been able to break them down and make them fun! I’ve never had a tutor like Tiffany who pays such close attention to the person so as to know what kind of style to tutor them in! She truly is exactly what a person would want/need in a tutor! Excellent tutor, love every single second with her. She is magnificent in every subject, specifically with Math. We have been taking online test for the GMAT, in every obstacle I might encounter, she would support me on solving it. I believe choosing her as my tutor was the right choice for me to get the desired result on the test. Tiffany is an outstanding tutor. She is always well prepared to move forward with the next lesson. She is patient and encouraging and extremely knowledgeable. I highly recommend Tiffany as a tutor. Tiffany helped me prepare for my upcoming biology exam. I have never had a tutor be able to draw cell structures and literally give me a tour of the cell in the way Tiffany did. She demonstrated vast knowledge on prokaryotic cells and eukaryotic cells, explaining in depth the metabolic functions in the cell. She taught me a step by step approach to understanding cellular respiration, glycolysis, the citric acid cycle, oxidative phosphorylation, and anaerobic respiration. I am looking forward to future lessons with Tiffany to prepare me for every exam in biological sciences! Best SAT tutor in Miami! Tiffany helped me prepare for the SAT. I was really struggling with the math portion of the exam. She went through every type of problem with me and helped me score over 50 points higher on the exam! I am so grateful for Tiffany's patience and help. She is a great tutor! If you need help doing better on the SAT, contact Tiffany! Amazing, Friendly, & Knowledgable! Highly Recommend!!!! I contacted Tiffany to help me with Geometry. She helped me understand concepts including triangles and congruence, area and volume formulas, parallel and perpendicular lines, and working with quadrilaterals. Tiffany exceeded my expectations. I actually understand Geometry and look forward to having her help me in the future! Aside from math, I asked Tiffany if she could help me with my literature class. We are studying the Canterbury Tales by Chaucer. I was very confused and had a very hard time understanding Chaucer's work. Tiffany helped me understand the wording and meaning without prior notice that I wanted her help with this subject. She is highly knowledgeable and teaches both Math and English in a way that is very easy to understand. I would highly recommend Tiffany to anyone. She is the best tutor I have ever had!! Tiffany accepted my request last minute to help me with my paper. I was very confused as to what my professor wanted me to write and I needed a lot of help. Tiffany helped me determine a topic for my course project and create a pre-writing activity. She helped me find credible sources for my research as well as teach me how to approach my inquiry. We discussed what an annotated bibliography entails as well as how MLA formatting is set up. Finally, we went over the importance of a thesis statement and the specificity it should have. Tiffany was beyond helpful and I would highly recommend her to anyone who needs guidance in writing! I will absolutely contact Tiffany in the future for writing help! Tiffany was very knowledgable on statistics. I had no clue what to do and she made the subject very easy to understand. She assisted me on the material for my upcoming test and I now feel ready. I definitely recommend her to anyone! Thank you! !